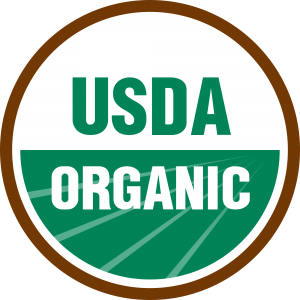 The U.S. Department of Agriculture has assured the kosher and halal meat industries that the meat they produce with the well-known USDA Organic label can clearly qualify as organic, even though kosher and halal slaughter methods follow religious law instead of normal USDA regulations. This signaled a final victory for a kosher-halal coalition of Jewish and Muslim groups. Since 2011 they had been pressing the USDA to recognize kosher and halal practices in the National Organic Program. USDA regulations, both for organic and non-organic meat, can require animals to be stunned before slaughter, while kosher and halal procedures prohibit stunning. Slaughter practices commanded by religion are exempt from the main Federal laws for meat and poultry production. However, in 1990 Congress created the USDA National Organic Program. The new program did not address slaughter methods directly, so there was no similar exemption put in place at that time for religious slaughter of organic animals. The issue arose in 2010, when the USDA first considered adopting slaughter standards expressly for organic meat and poultry. Kosher and halal organizations took action to make sure religious slaughter would be respected in any new USDA organic standards. In 2011 three leading certification groups, Star-K (kosher), IFANCA, the Islamic Food and Nutrition Council of America (halal), and ISA, Islamic Services of America (halal), joined in calling for a religious exemption so that under the new standards organic meat and poultry could be labeled kosher or halal as well. Rabbi Moshe Schuchman represented Star-K. Representing the halal groups were Dr. Muhammad Munir Chaudry, president of IFANCA, and Paul Musa Habhab, ISA’s director at the time. The kosher-halal coalition was assisted by Cornell University Professor Joe Regenstein, an authority on the kosher and halal industries, and Washington, DC, food lawyer Richard Siegel, whose practice focuses on the USDA organic program. Interested indeed in receiving your info.